SpongeBob and best friend Patrick Star. 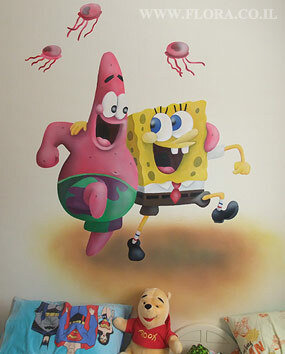 Childrens wall murals. Location: Ashkelon.